This article runs through some of the basics of using vTiger CRM. 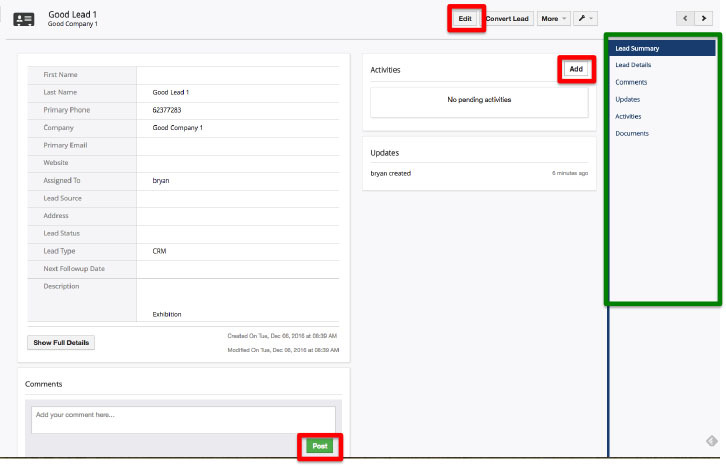 After logging into the CRM system, the modules available for your role would be shown right on top as a menu. Click on any of the module names to access the module. The selected module will list all records in the module based on the last selected filter. Click on the “Add” button to create new records in the selected module. The form for creating new record is shown. Fields with red asterisk are compulsory fields. The fields in your record creation form are configured as per requirements discussed with the Bevootech CRM consultant. Enter necessary information in the form and click the green Save button to save the record. When clicking into a record, the Summary details of the record is shown. There are different action buttons in the Summary view which can help you do quick updates to the record. Highlighted in green, every record has “related information” which can be accessed by clicking through the links in the right section of the individual CRM record. 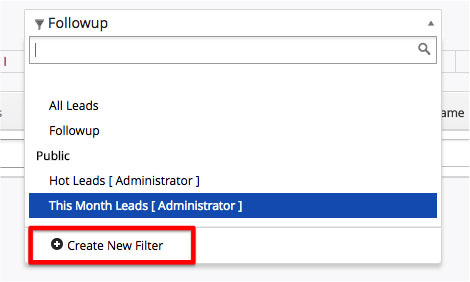 In the module listing view, there are different ways to easily filter your records and find information fast. Highlighted in red is what we call custom view. You can create a custom view which shows up to 12 columns of your own selected data with certain data criteria. Highlighted in green are alphabetical filters. Clicking on a alphabet will show only the records which first alphabet start from that alphabet. 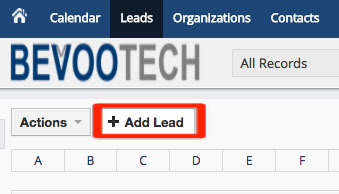 Leads module will filter by Last Name. Organisation module will filter by Organization Name. Opportunity module will filter by Opportunity Name. Highlighted in yellow are sorting filters. Click on any of the column names to sort by ascending or descending order. Highlighted in blue are search filters. Type into the column your desired search term and click the Search button on the right side. Custom views can be created by clicking on Create New Filter. Give it a name, select your desired columns with preferred order, set conditions (optional). Click Save button when done. The new custom view will be accessible by clicking on the Custom View feature of the module.